We, as a nation, have grown up observing November as a time of remembrance, a quiet marking of the past (and present), and an attempt to come to an understanding of both the world around us, and our role in it, historically and today. That search for meaning and understanding is on the minds of everyone today, even as we reel from the shock of this week's election result. From an exploration of the nature of Remembrance Day itself, to an examination of what it means to be Canadian, to a heartbreaking account of a story once-forgotten, now firmly in the public consciousness, these selections are at once timeless and pressing, and will form the basis for a winter’s worth of thought and discussion. Of all the books on Canada and what it means to be Canadian that will appear over the next year, Jane Urquhart has undoubtedly written one of the most unique and honest. 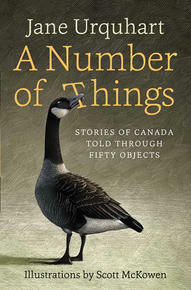 Through the lens of 50 objects, she unpacks the essence of a whole nation, dipping her toes into the historical events, contemporary ones, people, and places that make Canada what it is. Like she does in her incredible—and also very Canadian—fiction, Urquhart uses her 50 choice objects to map out the image she's trying to create, and leaves the reader to connect the dots. The result is intelligent, informed, and thorough. A Number of Things will make you stop and reflect on our nation, its past and present, and the place of each and every one of us within it. 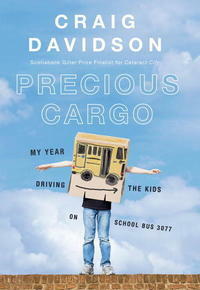 A wonderful non-fiction book about an unemployed writer who gets a job driving a school bus of special-needs children. The bonds he makes with each student are unique and heart-warming. I really enjoyed this book for its honesty, respectfulness, thoughtfulness and the tender humour in the author’s writing. 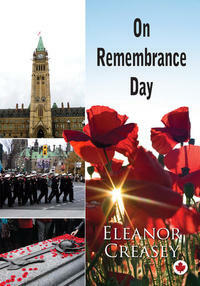 On Remembrance Day, by Eleanor Creasey, is a great resource for teachers, librarians, and parents who want children to understand why it is so important that we observe Remembrance Day in Canada. Filled with information about Remembrance Day symbols and tributes, the wars and actions that Canadians have participated in and Remembrance Day traditions, it is an essential book for every school and public library. Though we'd all like to believe that Donald Trump is some sort of bizarre aberration, this book leaves the reader realizing he's just the latest iteration in the deterioration of public discourse. 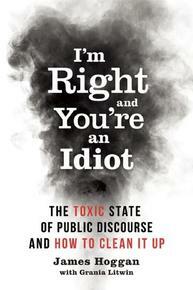 How and why has our ability to intelligently discuss issues eroded and what can we do about it? This book offers compelling answers to these questions. A timely read! Wenjack is beautiful and heartbreaking and important and needs to be read. It is about a time in our past that until recently was not talked about enough. 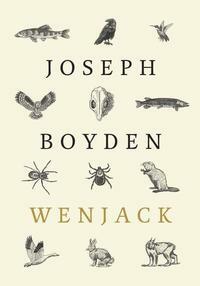 Joseph Boyden presents treats this tragic tale with respect and pathos and presents it in a way that lends it to be a jumping off point for some very important discussions. Wenjack should be on every Canadian’s bookshelf this year. 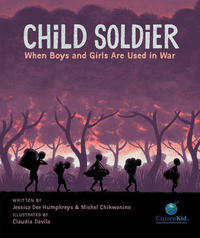 Michel Chikwanine was five years old when he was abducted from his school-yard soccer game in the Democratic Republic of Congo and forced to become a soldier for a brutal rebel militia. Against the odds, Michel managed to escape and find his way back to his family, but he was never the same again. This first-person graphic novel tells his story in a haunting and intriguing format, assisted by Dávila's beautiful illustrations. Rather than depict the violence he observed and endured, the graphic format allows readers to feel what he felt, and to ask questions about these experiences. Extensive background information and opportunities for readers to become involved are included, and parents and teachers will find this a brilliant starting point for discussions of global awareness and social justice.